Custom represents an exclusive, unique attitude that can be compared to “pure fashion”. 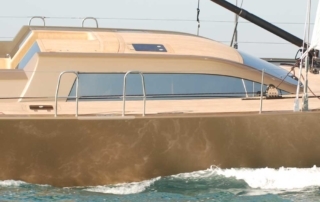 The competence developed by the shipyard so far makes each yacht “unique”, and the repetition of a complex and “industrial” building process gives safety and reliability. 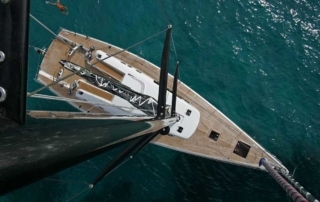 Many are the designers who made the decision to entrust Adriasail the building of their ideas so far: Brenta&C., Ceccarelli, Farr, Felci Yachts Design, Finot, Fontana Maletto, Frers, Nauta Yachts, Reichel-Pugh. The philosophy behind this project was to design a yacht that would offer the perfect mix of performance, safety and comfort. 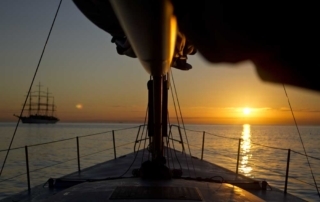 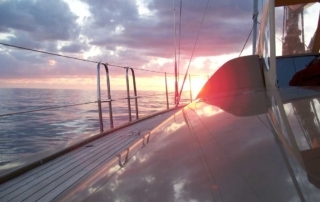 Only if these three factors are taken into account simultaneously, meet the requirement of owners, yachtsmen and guests. 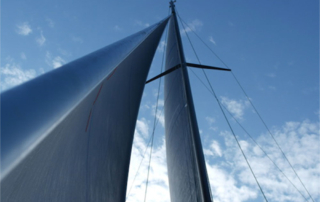 The need for absolute speed, control and safety influenced all our decision, from the hull’s water line and hydrodynamic analysis of the appendices up to the design of the structure and sail plan. 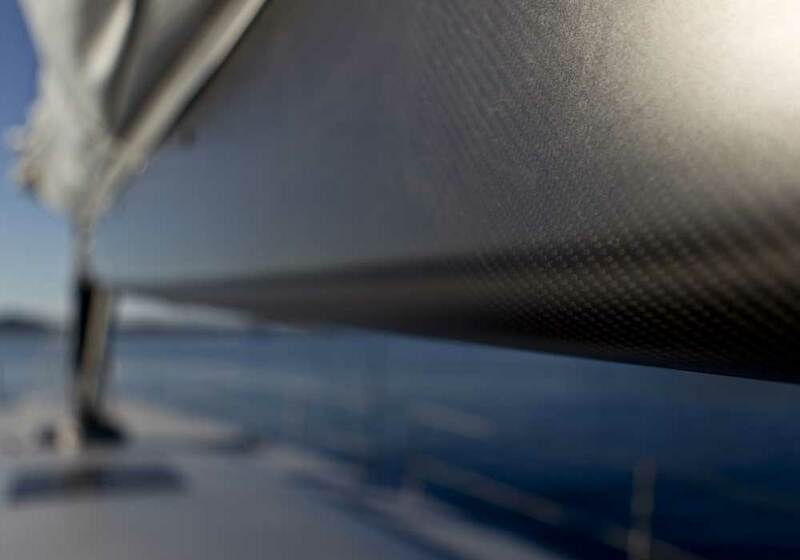 In terms of plant & equipment, construction and detail methods, the synergy of the close cooperation between Adria Sail and Felci Yacht has led to the quest and creation of state-of-the-art solutions, certainly unique for yachts of this size, always with the ultimate objective of achieving the greatest ease in terms of handling, maintenance and immediate control. 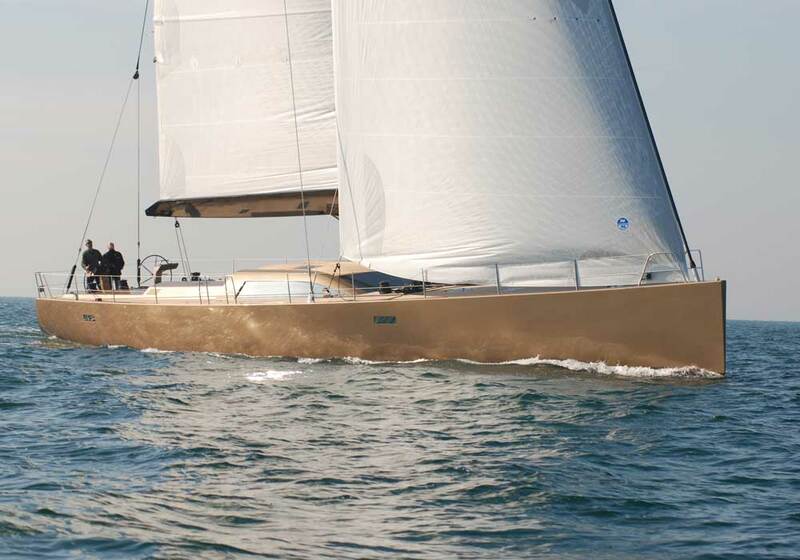 Reichel/Pugh-Nauta 59 is brainchild of two designers: Reichel/Pugh Yacht Design, one of the world’s top project designers, which have created hull, appendages and sail plan, and Italy’s stylist firm, Nauta Design, which were involved in the general concept, exterior styling, interior design and systems. 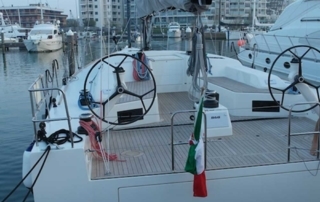 Highly sophisticated and at the top of the construction level, it is a fast cruiser optimized for solo cruising by a professional with the help of the yacht driver. 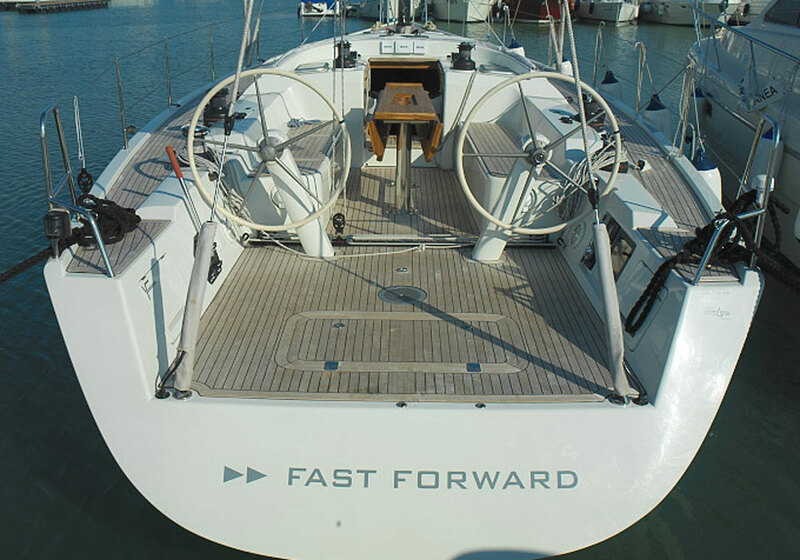 A pure Custom designed by Felci Yachts, interpreting the requirements of the Owner and built offering to the Owner himself the long experience and the competence of Adria Sail’s staff in the construction of fast cruiser mega-yachts. 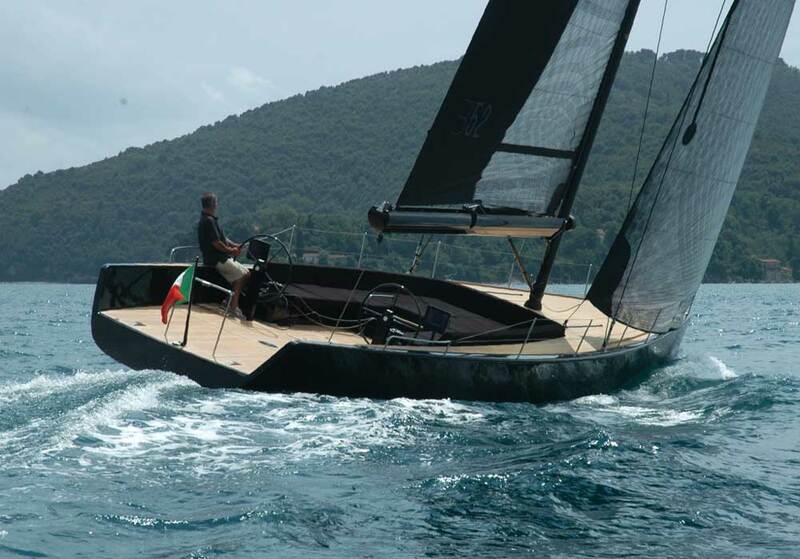 The modern technology of construction has allowed to realize a fast boat without reduce the comfort. 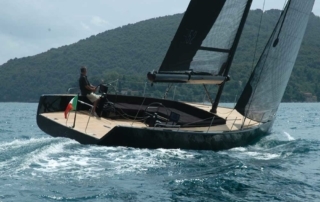 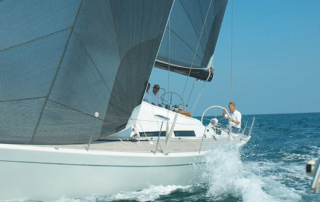 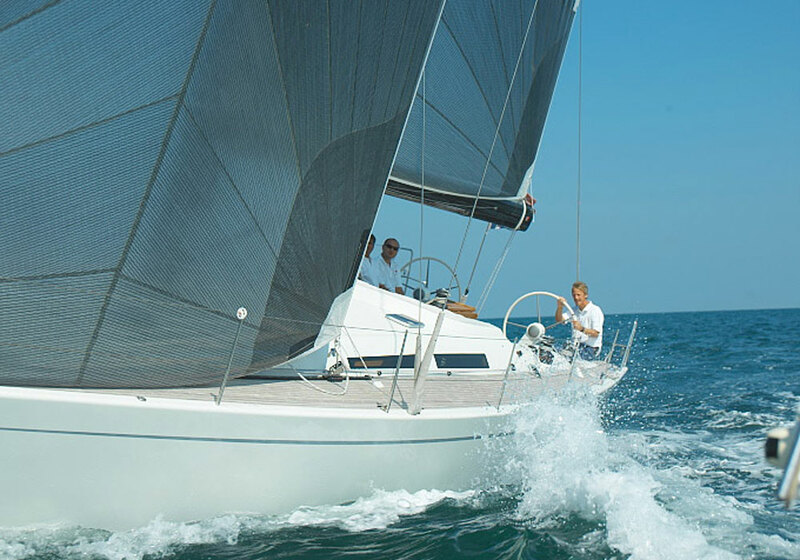 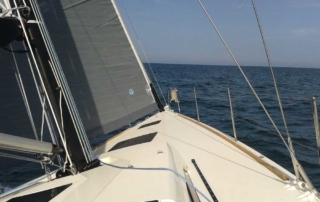 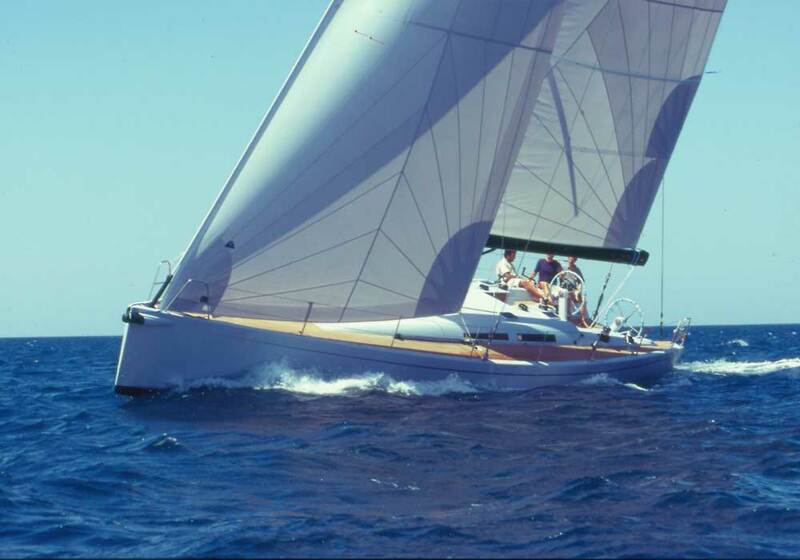 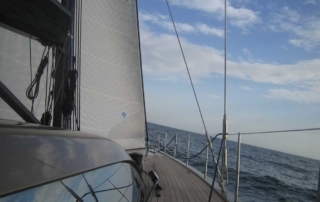 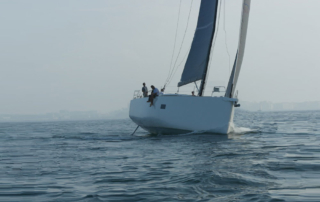 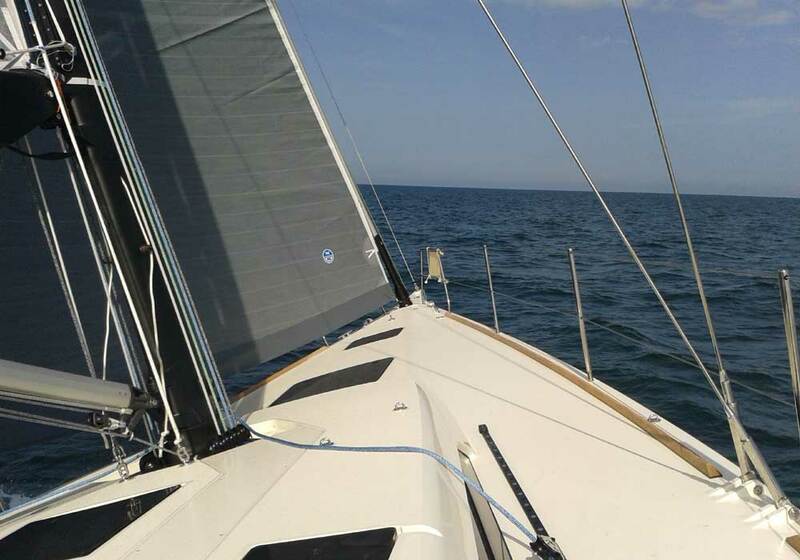 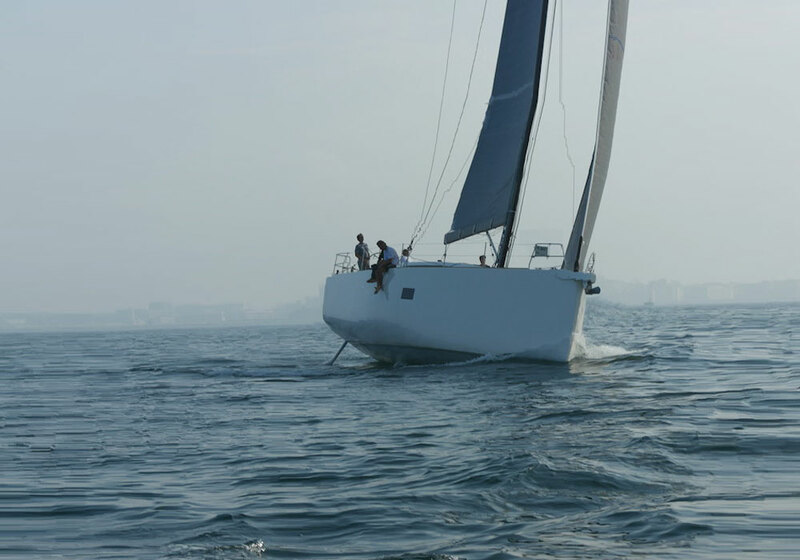 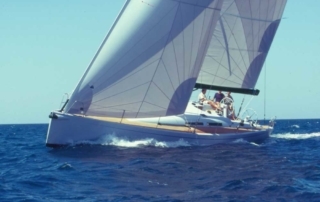 “Sensible at the helm, elegant, fast, nice looking are adjectives to define this new design drawn for a lifelong yachtsman who after owning racing boats and superyachts knows of the pleasure a nice day at sea, in selected company can give.” German Frers. 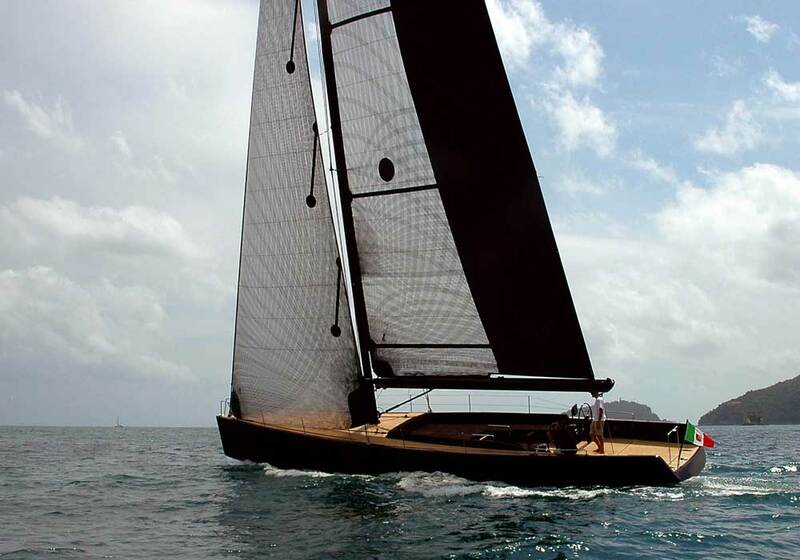 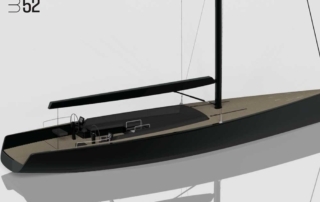 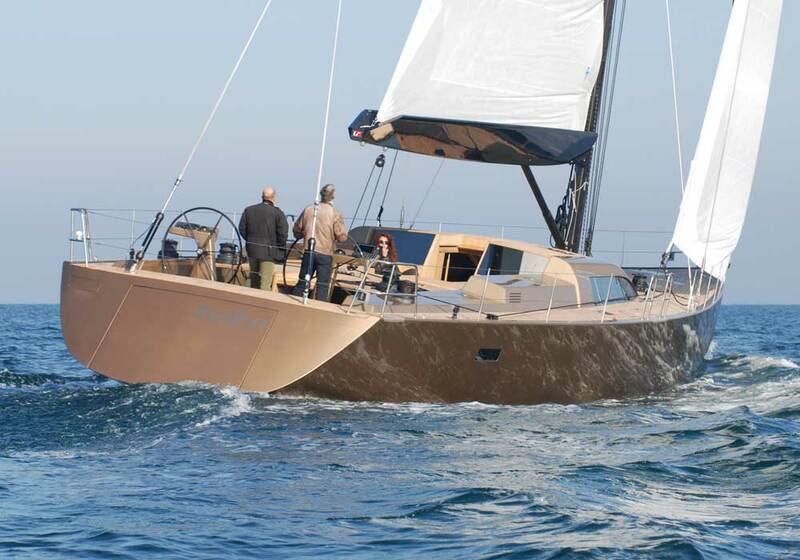 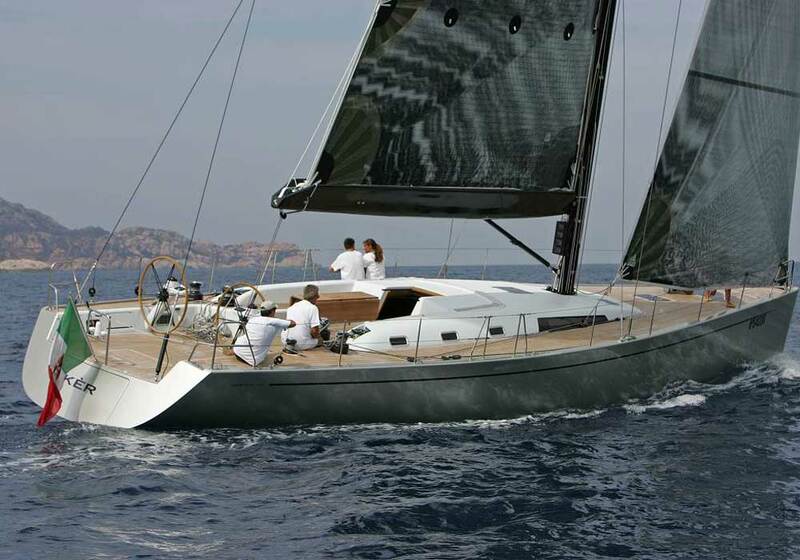 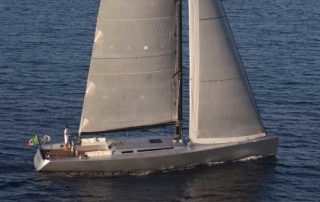 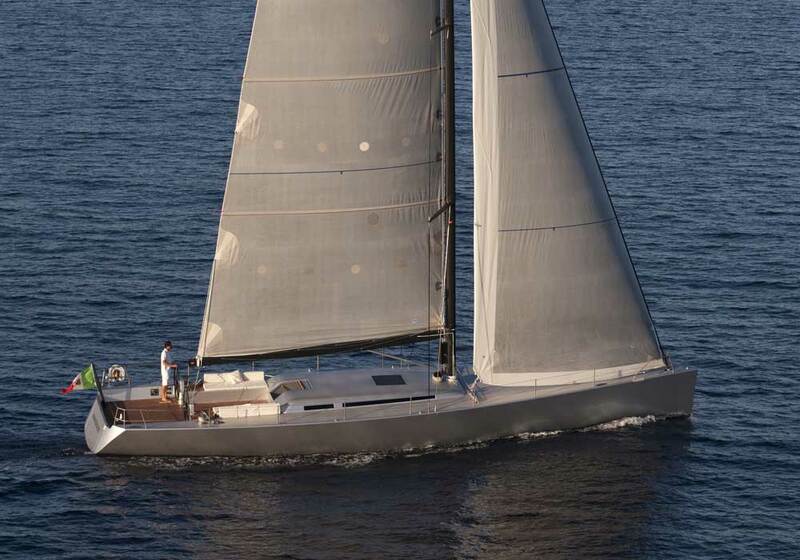 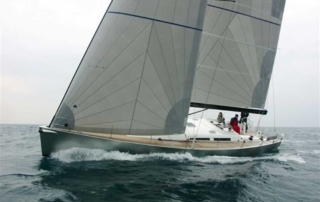 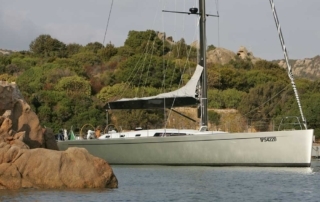 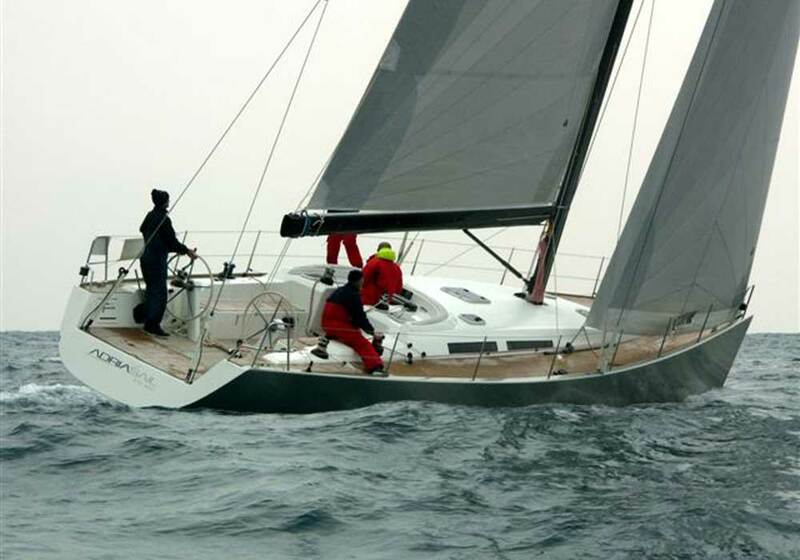 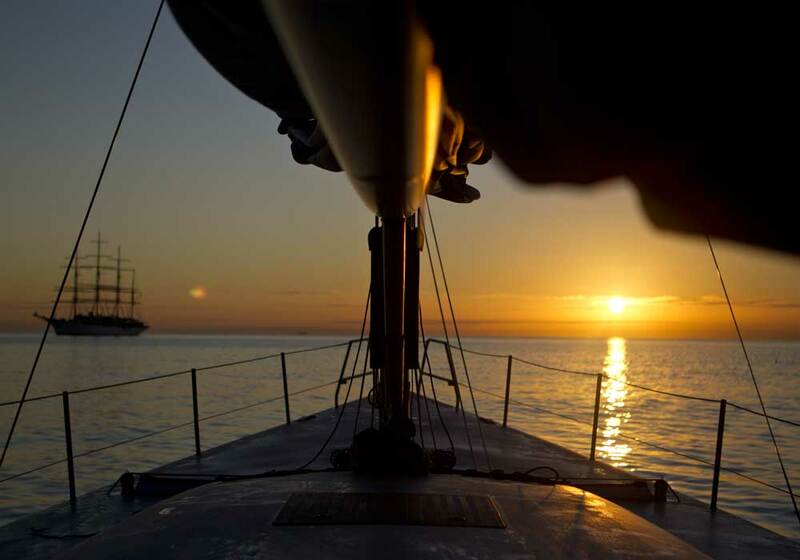 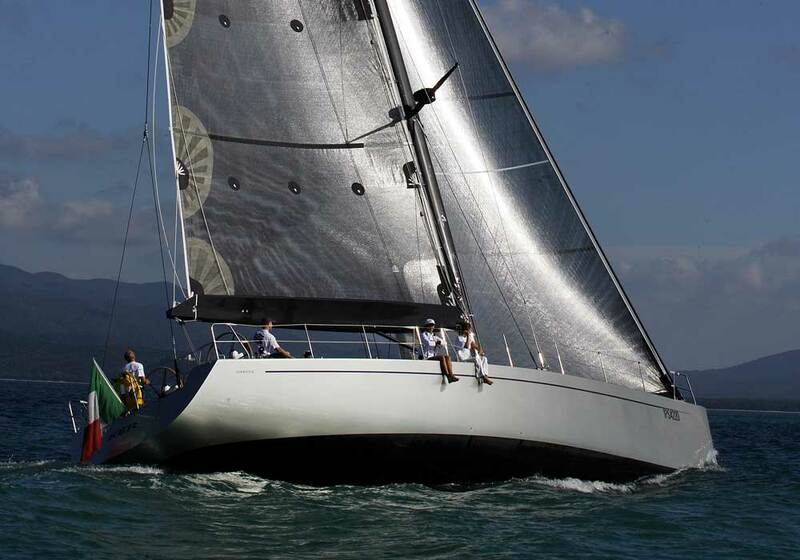 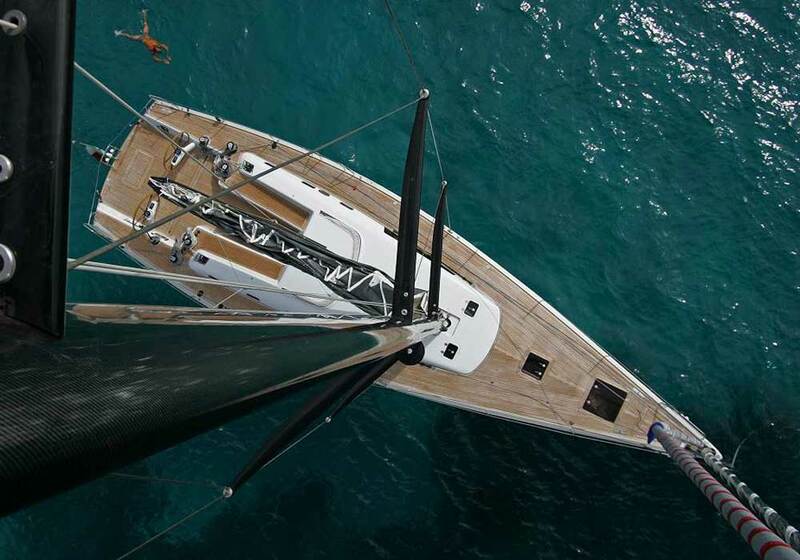 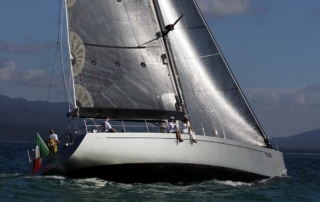 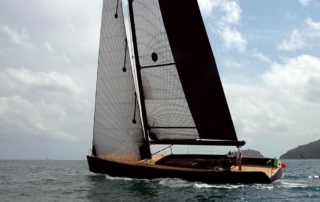 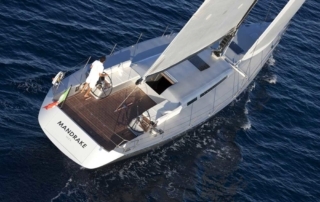 The return of the Mandrake class has been entrusted to the designer German Frers and to Adria Sail. 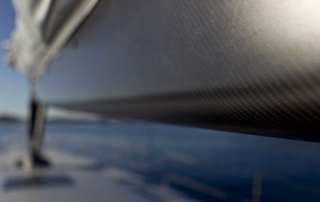 Hull, deck, internal structures and bulkheads has been realized with vacuum bagged carbon fabrics and epoxy resin in order to save as much weight as possible. 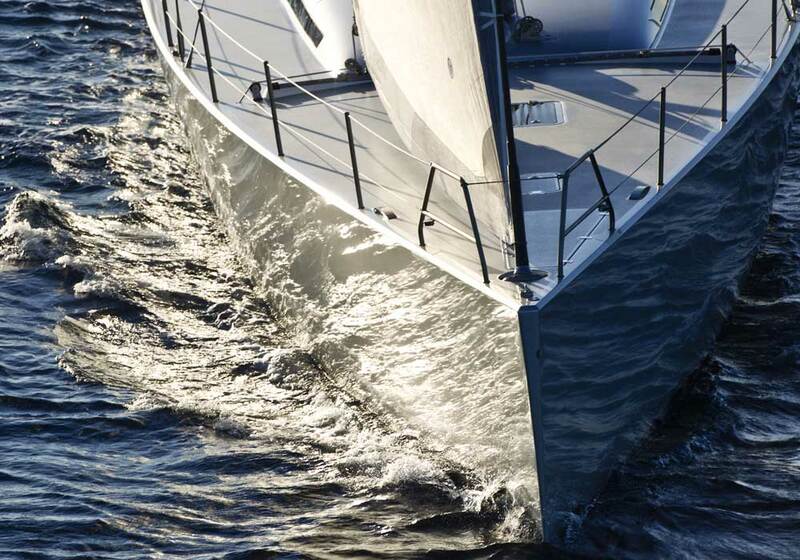 The 85 CV hybrid engine has been supplied by Steyr and it can be powered by both diesel or electric propulsion. 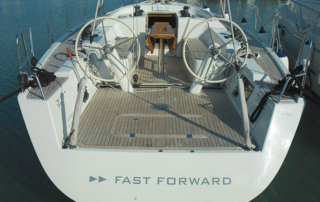 The second one is a really innovative feature for this kind of boat and it guarantees an autonomy of 4 hours. 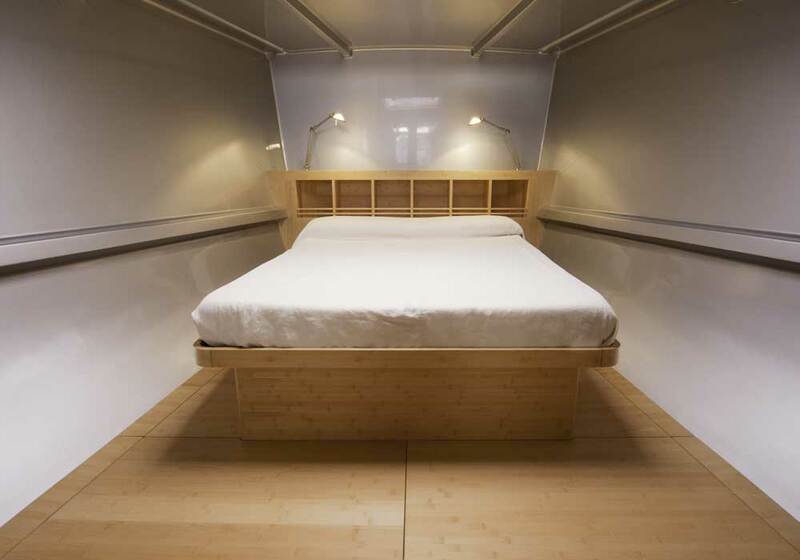 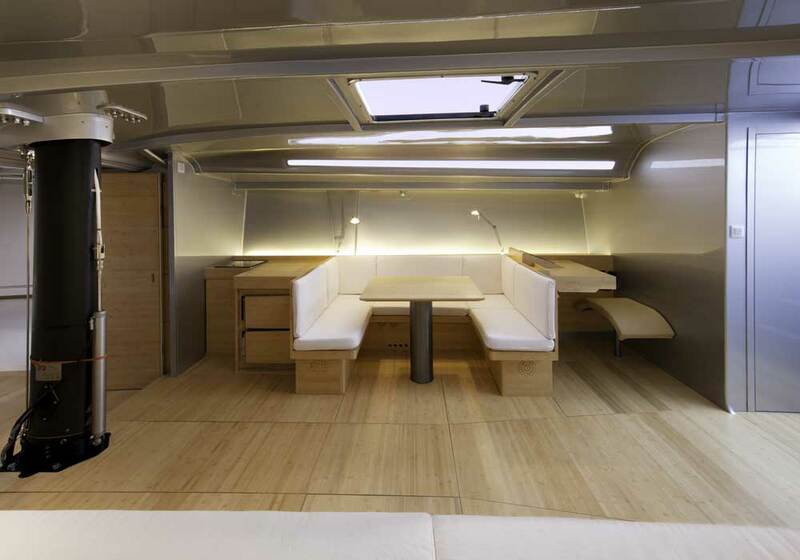 The interiors, designed by the architect Gae Aulenti and studied by the yard, are made of composite with titanium details and coated with bamboo wood. 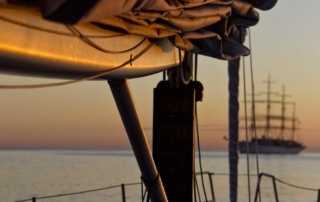 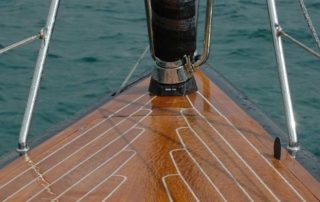 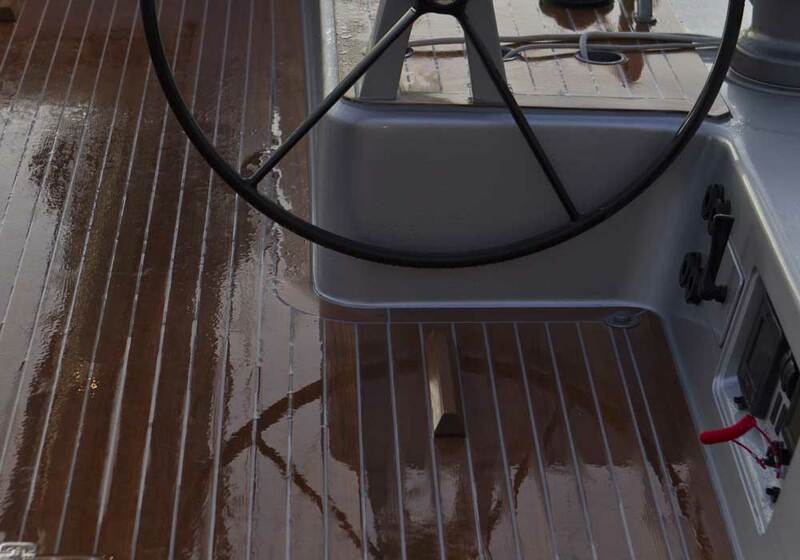 Deck hardware has been supplied by Harken, Spinlock, Solimar, Bamar and Seasmart. 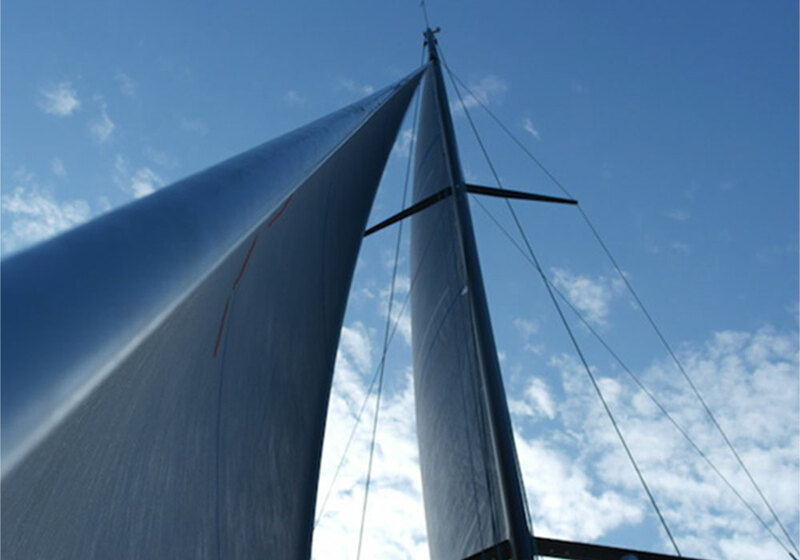 The Hall Spars high modulus carbon mast is equipped with carbon rigging and a removable backstay for very windy conditions. 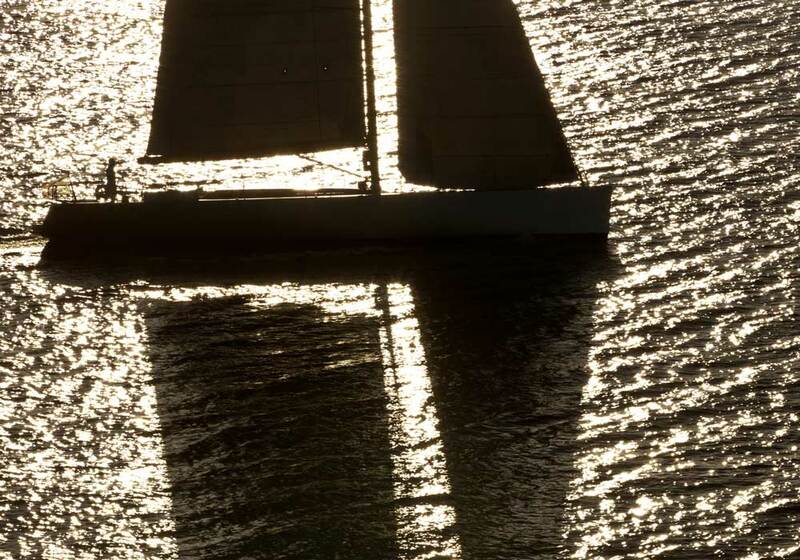 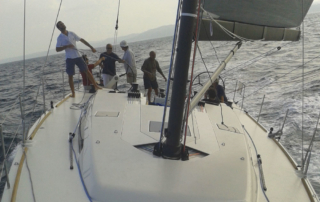 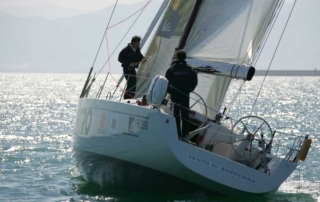 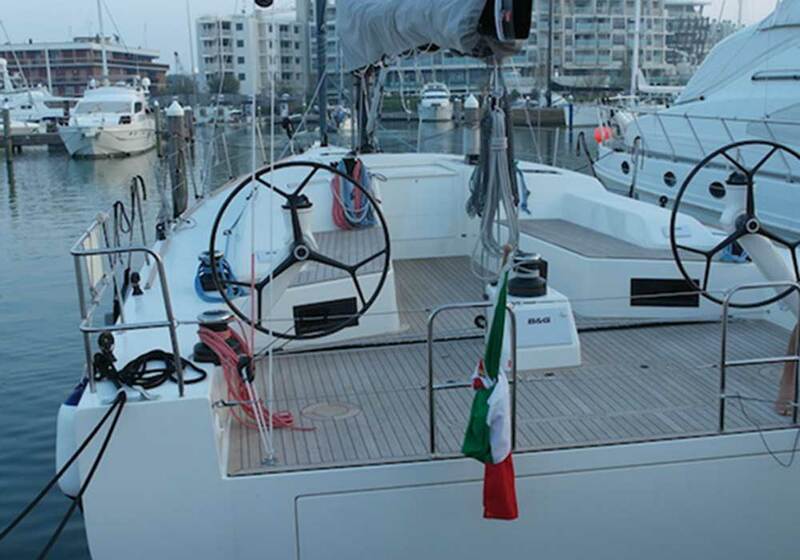 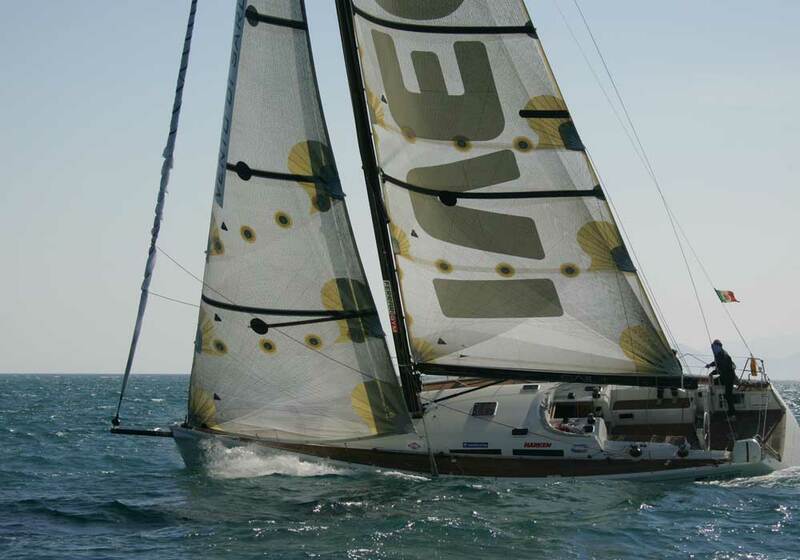 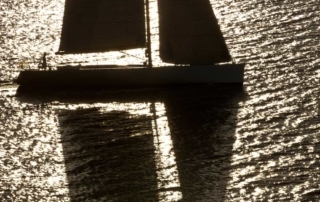 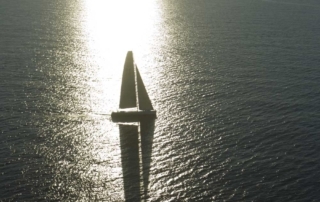 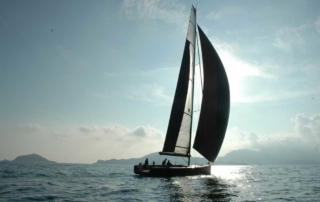 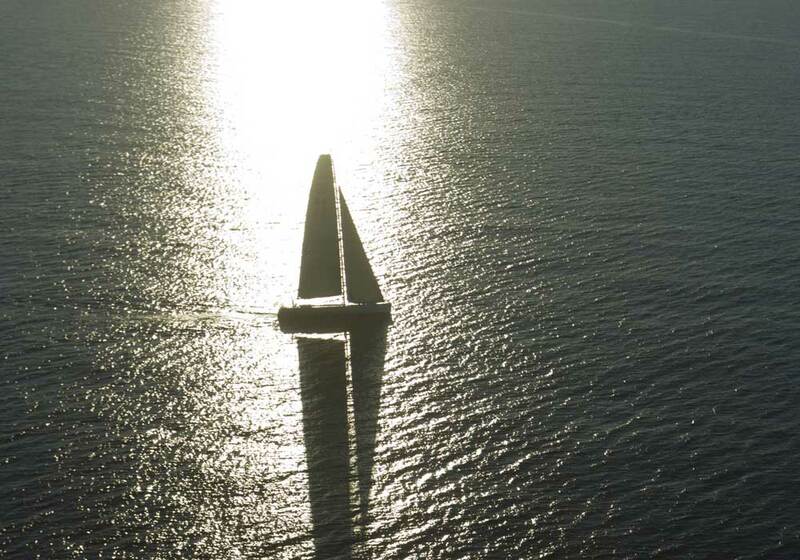 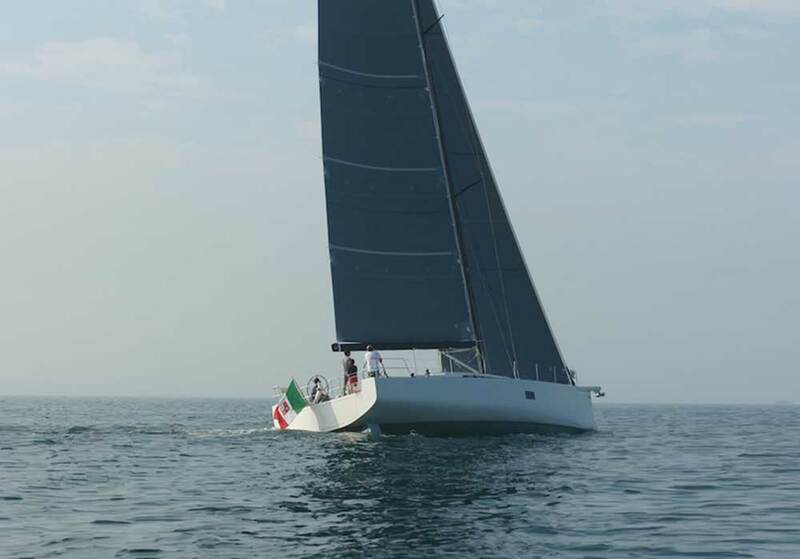 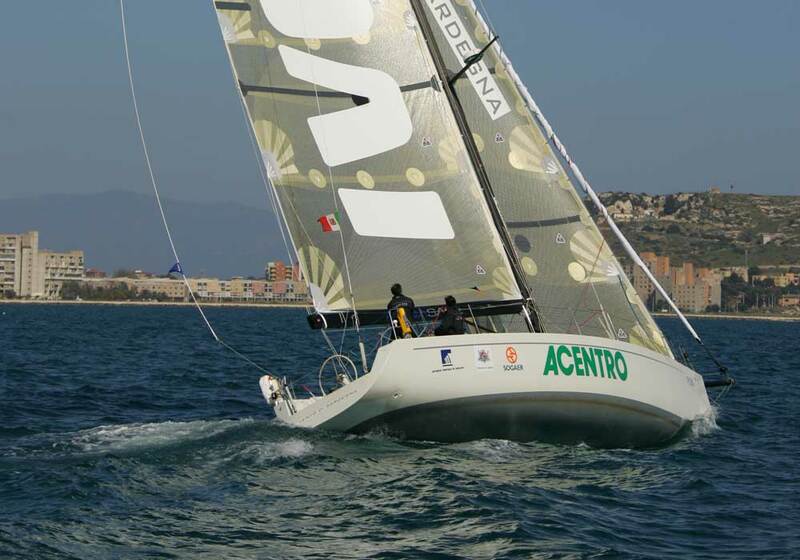 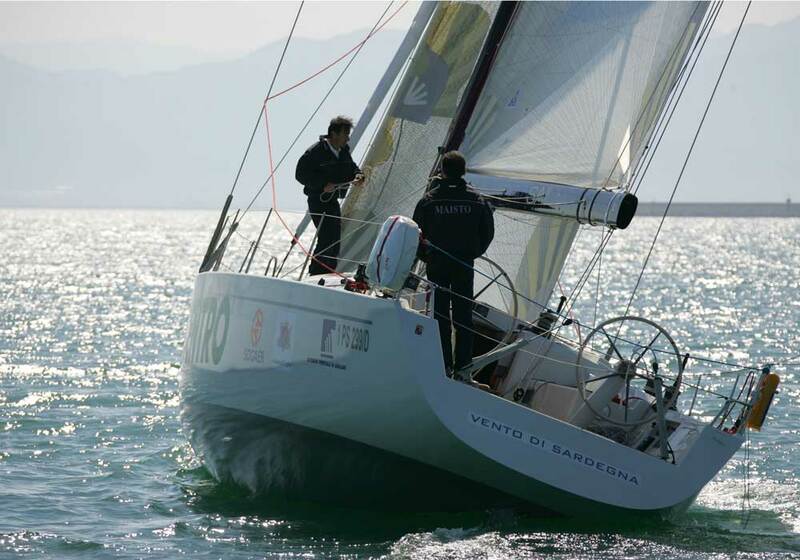 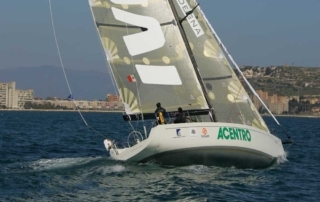 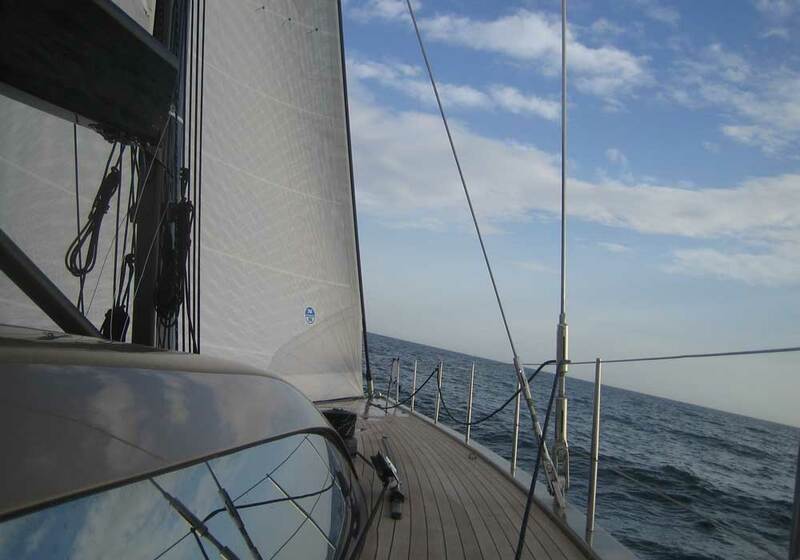 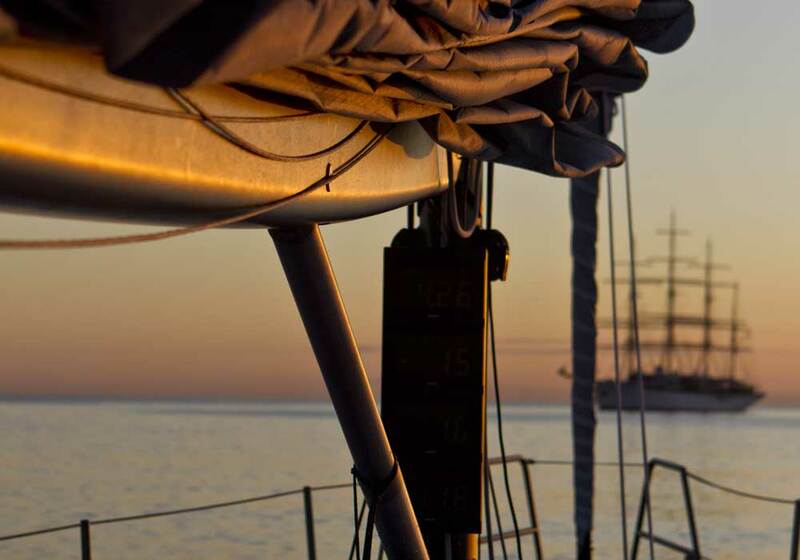 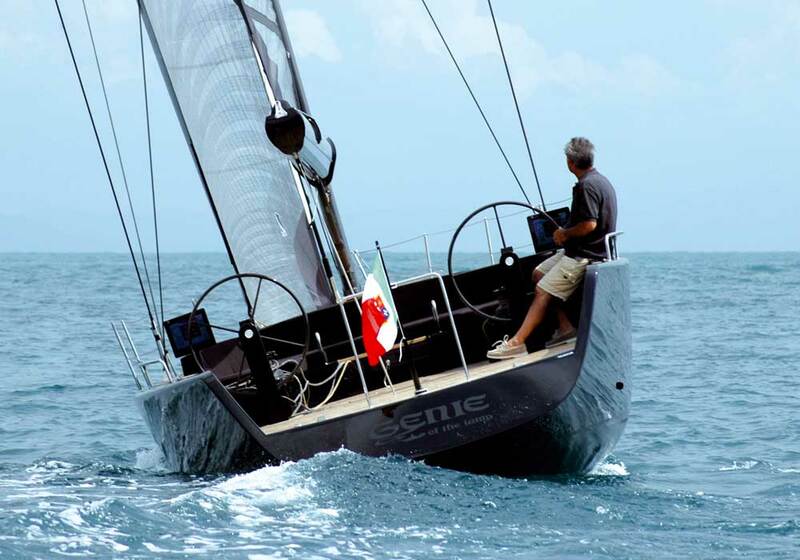 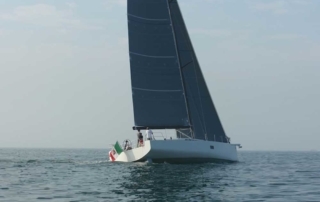 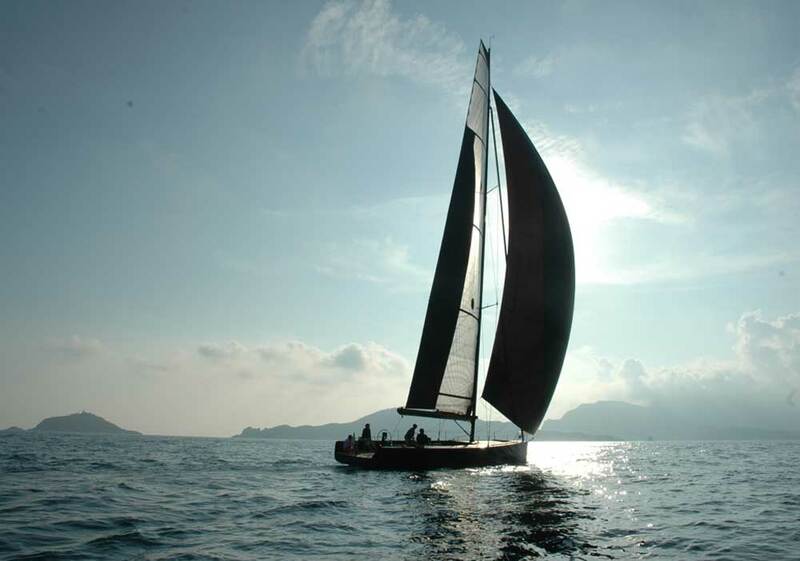 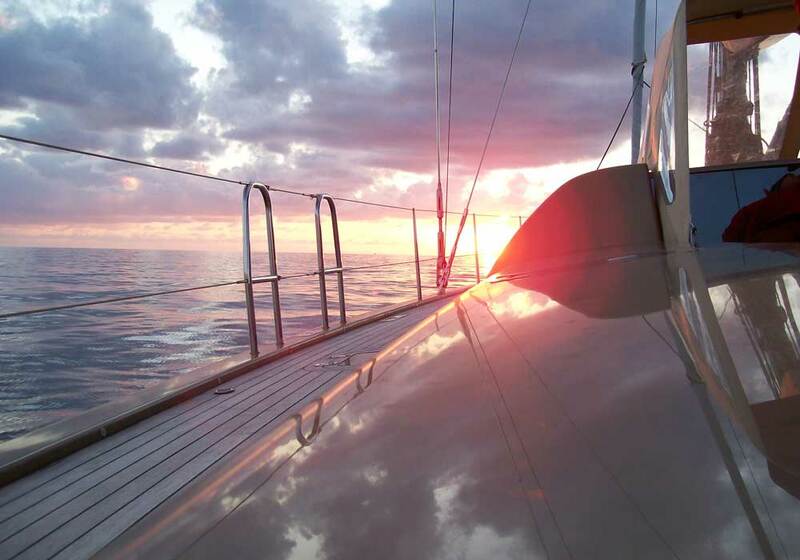 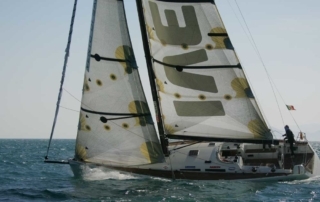 Lines, sails and electronics are supplied respectively by Gottifredi & Maffioli, North Sails andn B&G. 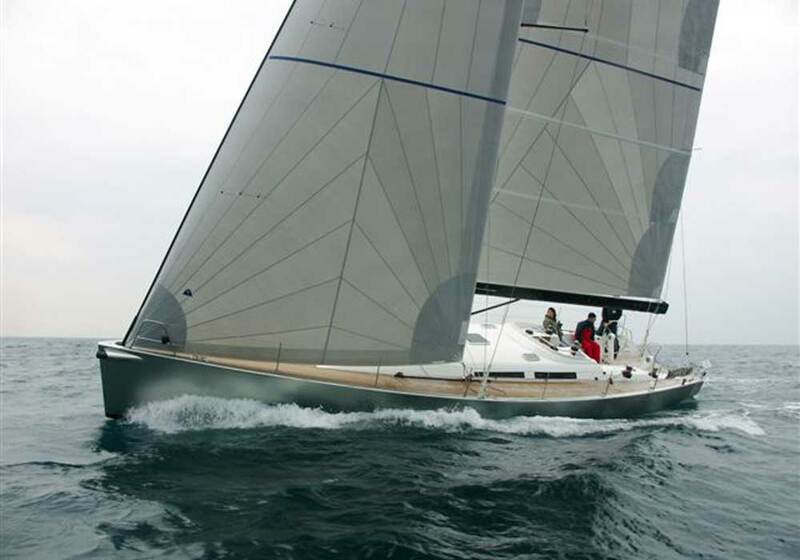 Waterlines, wide transom e and ample internal volumes are some of the main characteristics that represent the M50 sailing yacht. 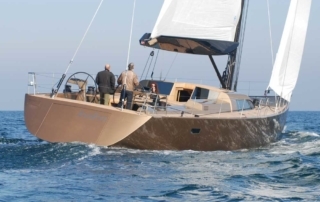 Biscontini, employing a modern hull shape, gives the interior designer the possibility to create roomy cabins in order to obtain a very comfortable and fast boat at the same time. 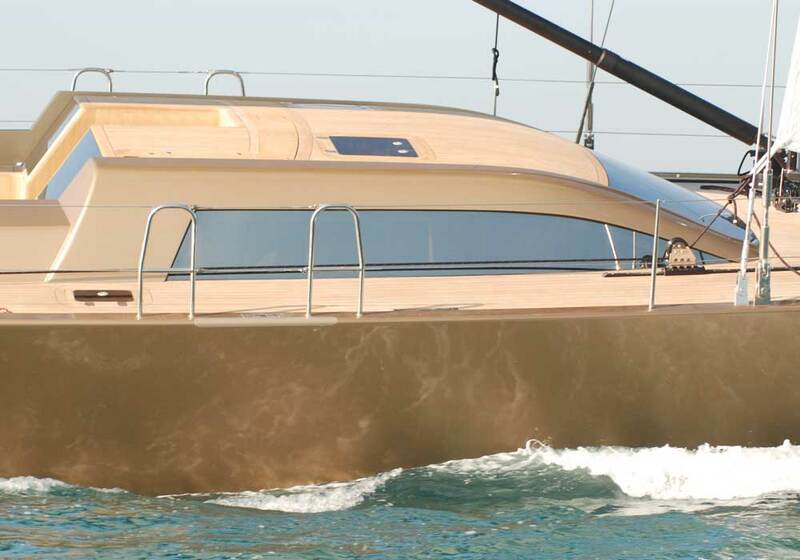 M50’s hull is characterized by very high sides, 4,8 m beam and two rudder blades. 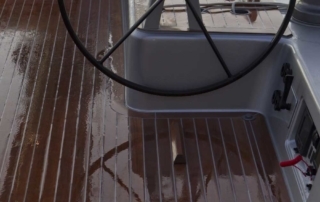 This features guarantee maximum control in heeled position. 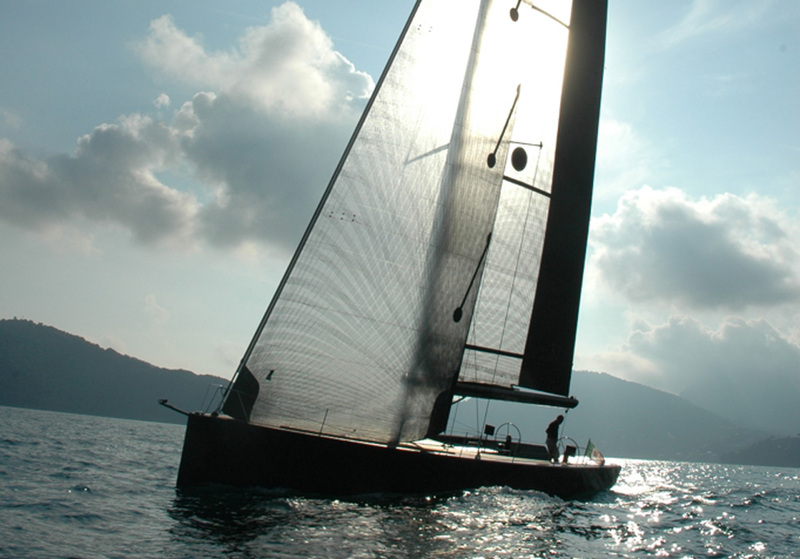 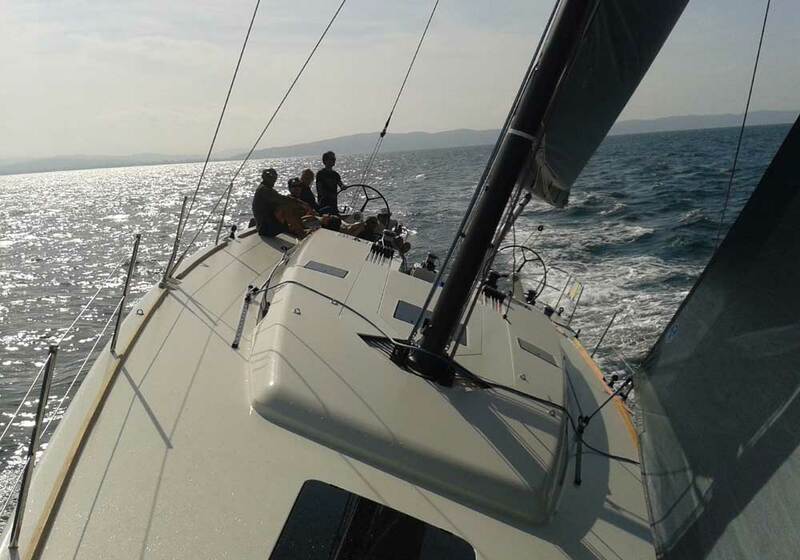 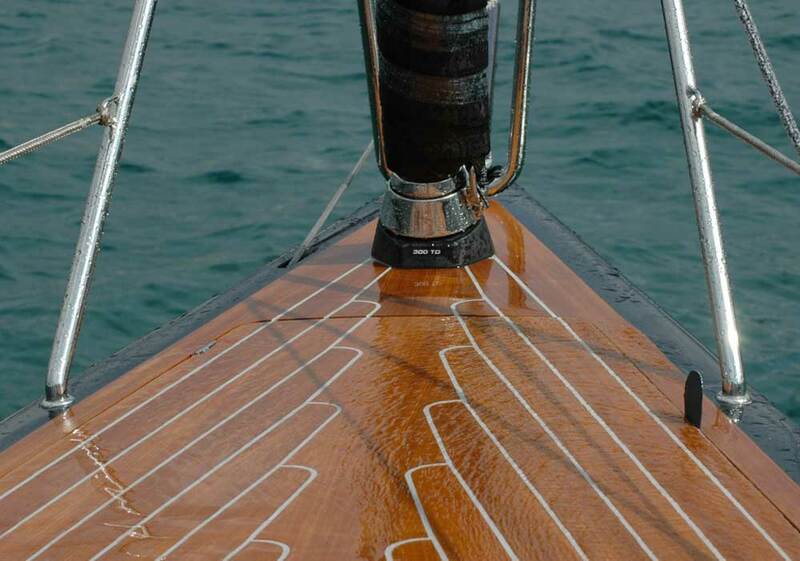 All details has been studied in order to obtain maximum performance both in regatta and cruising conditions. 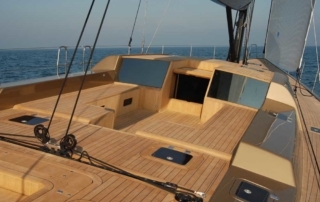 B52 confirms the tradition and the philosophy behind all B-Yachts. 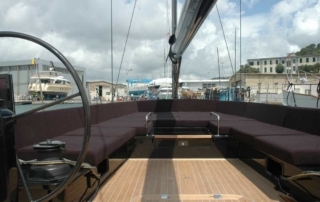 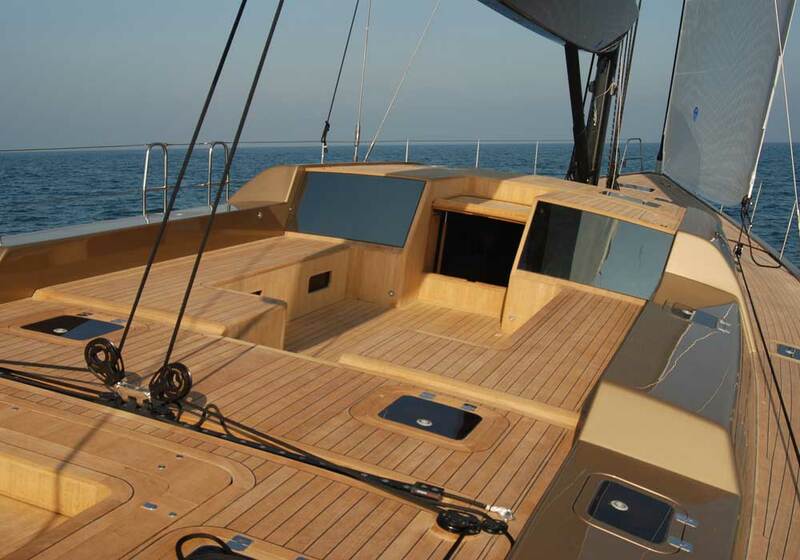 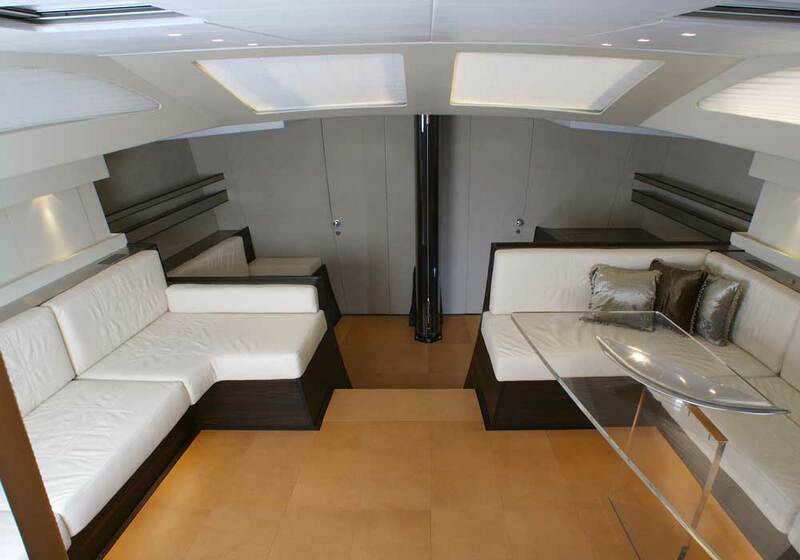 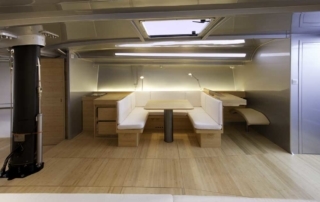 Thanks to its generous dimensions, it offers a stern space especially wide, which can be used as guests’ cabin. 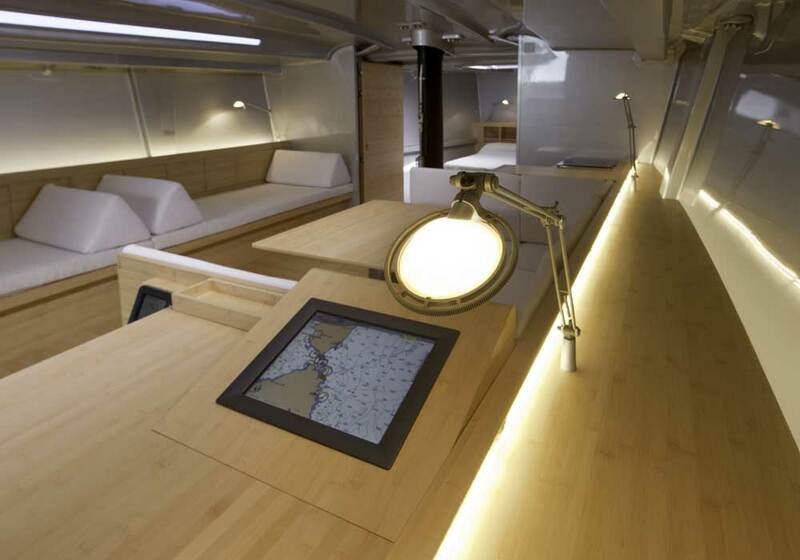 And thanks to this, the comfort of boat is even greater. 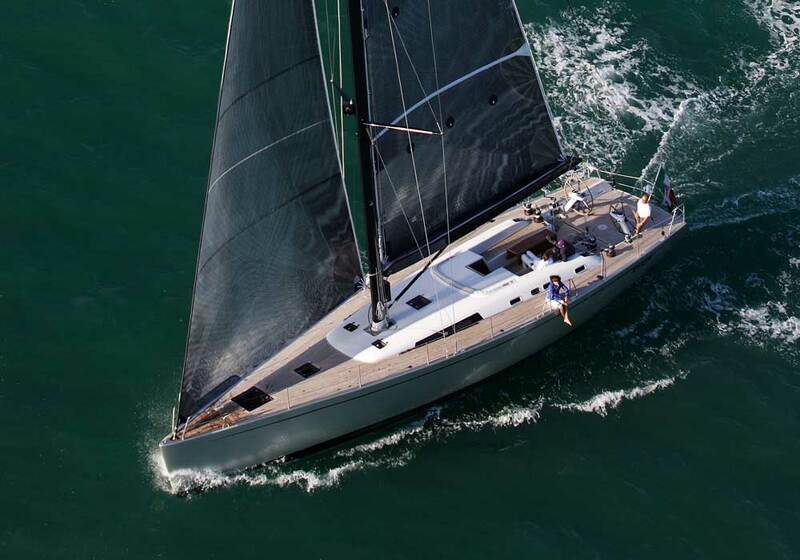 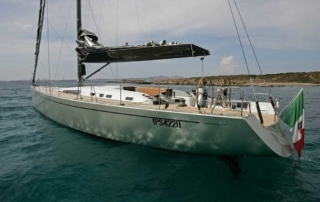 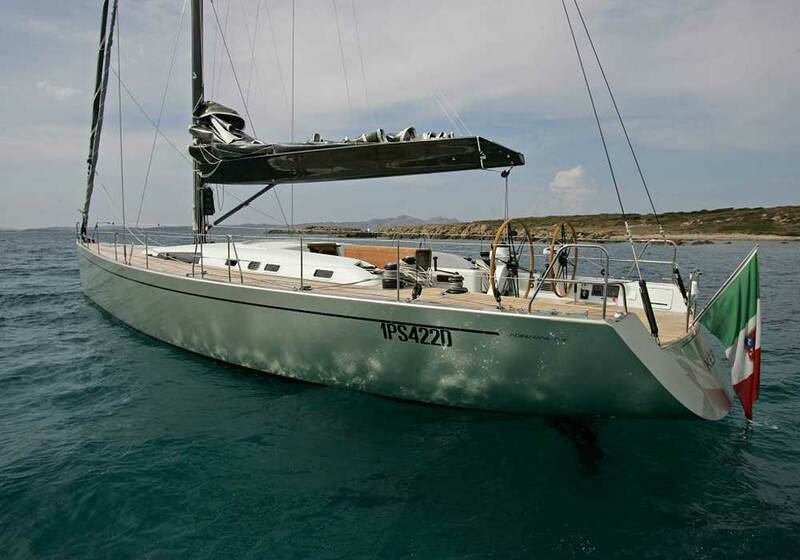 If B42 is a 24-hours boat, B52 is the epitome of purest speed and comfortable longer sailing; and it is clearly object of attention for those Owners who want to have on board not only their families, but also their friends.